Today we received a remote support request from a local customer who was having trouble with a spam pop-up that was hijacking his browser. The pop up displayed a warning message stating that the computer had a security vulnerability and that the user should call the number listed to get support. Along with the message a loud beeping noise was coming from the speaker which one would assume was to cause panic and fear. Despite a button being available to close the message, on doing so another tab would open and the same message would appear. Used task manager (Ctrl+Alt+Delete) to stop the process (Microsoft Edge Browser in this instance). We then opened the browser and were greeted with the tabs automatically reloading before our nimble mouse movements could close them. The pop ups reappeared and the spam message / noise occurred again! 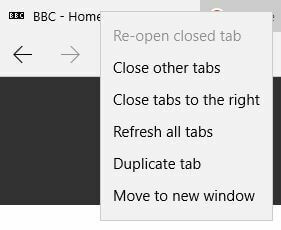 This opened Microsoft Edge and automatically opened a fresh tab with our website. All the tabs closed and our customer was able to continue with their surfing.